WoPC Home > United Kingdom > Pepys games > Express 2nd ed. 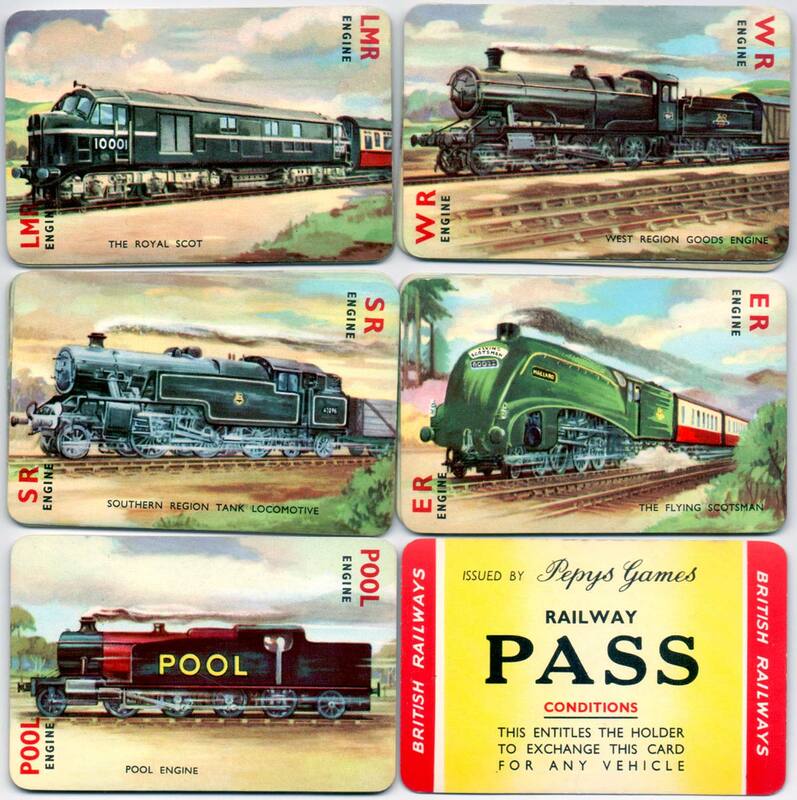 This is the second edition of Pepys’ marvellous “Express” card game depicting, amongst other things, famous locomotives, carriages and rolling stock from different regions of post-War British Railways. 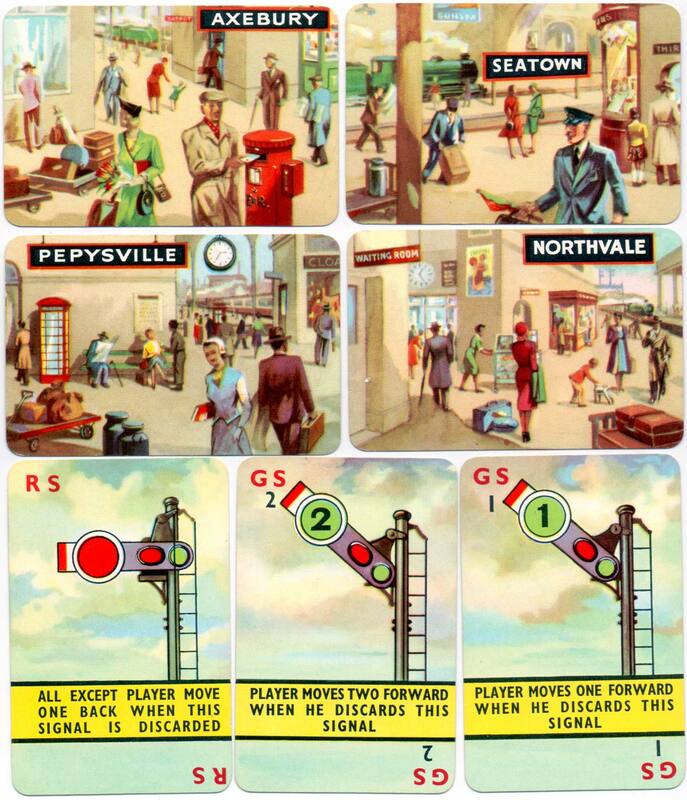 The object of the game is to make up a complete train of any one region by collecting the necessary five cards and then using the signal cards to manoeuvre the train out of the station. 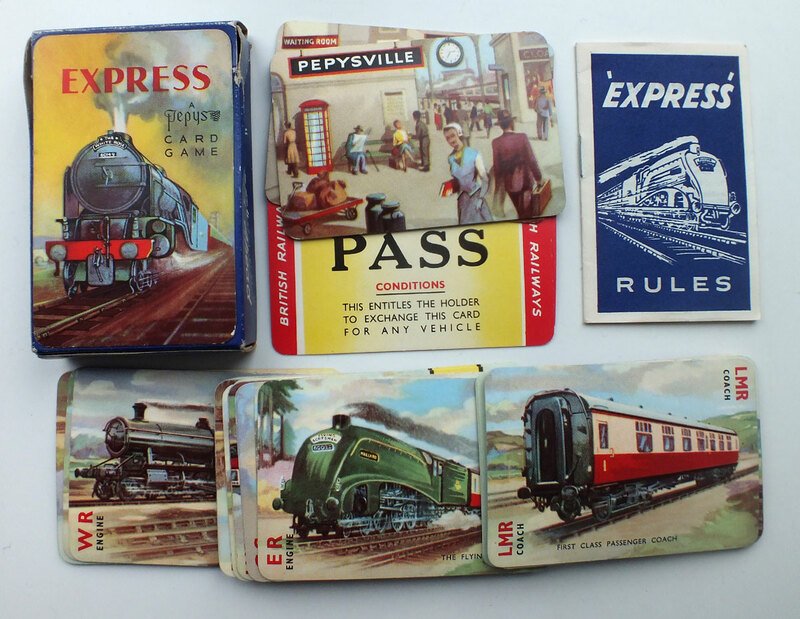 Above: Pepys “Express” card game 2nd edition c.1955. 44 cards + rules booklet in box. The game has been re-published by Lagoon Games.